Dave. How does SSUSA know that a player is trying to "sit it out?" I would think SSUSA would have to live in his head or hire an detective. I can think of a few reasons for not playing one or more years: injuries/health, no money for travel that year, gets dropped by the team and can't find a new team to accept him (at that level, decides to take a couple years away from tournament play and wants to come out of retirement. Also, it's hard for me to believe there are tournament players who just quit for a year or two/three/four years just to change player history. Maybe I just love the game too much to understand. Two situations. A player is on a major team in 2018 wins the world's and the team becomes major Plus. What is his history is a major Plus for 2019? A player plays Major in 2018 and his team does so poorly that they re rated after the world's as AAA. Same question what is he rated in 2019? 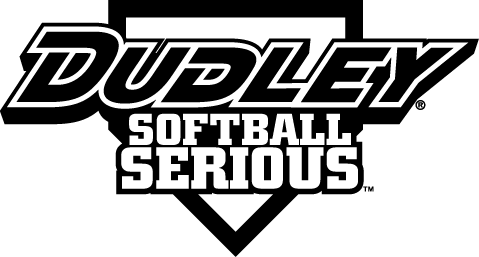 I have a player who has not played any SS USA or other tournament softball since 2014. He played on a major team in 2014 when he was 75 years old. He is now 79 years old. What is he raided and do I need to appeal this? Strange but true. A slow-running singles-only batter hit a ground ball that went through the shallow outfield. The 1st base coach yelled "Go. Go." With a surprised look our batter-runner slogged toward 2nd base. He looked toward 3rd with a big smile which disappeared when he saw the 3rd base coach waving him to 3rd base. With a look that said, "You gotta be kiddin') he moseyed toward 3rd. He arrived well before the ball and hooted with joy. Then the ump, who was 3 feet from 3rd base, yelled "You're out!" It didn't end there. The next time this player batted he hit another ground ball through the infield but not through the outfield. As the batter-runner approached 1st base, the 1st base coach held up a sign, "Drop the bat!" Bob, I live in Portland and we already talked. I found a team for Vegas. What I call the Title bar is the horizontal list of items starting with "Home" and ending with "Links." When I hit the drop-down menu under "Tournaments" I get a choice of three items including "Rules" But I cannot choose any of the other three items because - I think - they interfere with the links on the second line, "International" and "Links." Fortunately I can still get to the all important link of "Tournaments. Does anyone else have this problem or have a workaround? I played with a AAA 80s team that disbanded and I'd like to find another team for Vegas this September and the 2018 season. I have loads of experience and have played at all levels from AA to Major+ for the last 25+ years. I'm best in the infield (not third base) but can play in the outfield when needed. I'm 78 this year and will travel anywhere. Reply to this posting or send me an email at fsisavic@hotmail.com. Keep us tuned on your progress. Best/Worst/Only Slow pitch softball commercial film: "Beer League" (2006). Awful caricatures of the beer drinking bunch beating the arrogant top rated league team. When will the results of the LVSSA/SSUSA SOUTHWEST CHAMPIONSHIPS be posted? "Men's 65+ and Older: Six games minimum scheduled, with four-game Round Robin into Double Elimination brackets. (Session #2 runs four days)"
I may be wrong, but It looks like the 65+ and older teams will be getting fewer games for the same fee. Am I misinformed? Discussion: What to do with trophies, uniforms, tee-shirts? Thanks - excellent ideas. I have a few bat bags too; I'll add them to the donation package. I'm spring cleaning in January and have many softball tee-shirts, old uniforms for entire teams, and a stash of trophies. My loving, sensitive, understanding wife said, "They go or you go!" I thought about her alternatives for a bit too long and my partner-for-life walked out of our stuffed garage. So I'm looking for ideas on what to do with the stuff. Please do not suggest anything starting with, "Shove them .... "
when will you post the field locations for the upcoming Phoenix tournament? We are looking for a few players to complete our team for the Winter Worlds in Phoenix November 17-19, 2014. Our team will play in the 75s Major division. Players who live west of the Mississippi and will be at least 75 in 2015 are eligible. Contact me ASAP. John: jj4nier@hotmail.com. Where are the teams that qualified for the Jan 2015 TOC? The existing link takes you to 2014 results.